are complete, and the tour introduced me to the nicest people in the Upstate. Honestly, I think only genuinely kind people were admitted to the tour. Now, the pace is much less frenetic around our home. The gardens are planted. The beds are tidy and weed-free. (Well, at least for today.) We're not suffering terribly from drought conditions--yet. 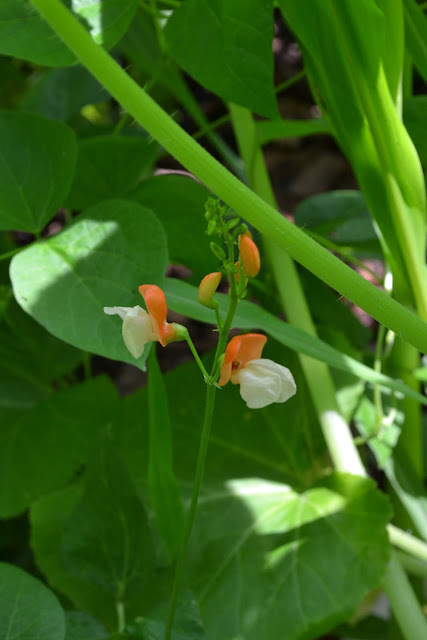 The vegetable gardens hold the promise of delicious dinners in future weeks--baby squash and vibrant tomatoes, lovely bean blossoms and funky, firey peppers. Plus, we're still winning the war against plant diseases and pests...so far. 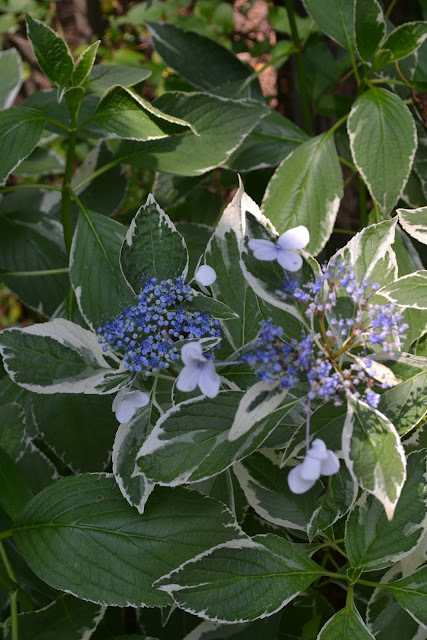 June is a honeymoon period for us gardeners. Sure, there's still plenty of work to do. 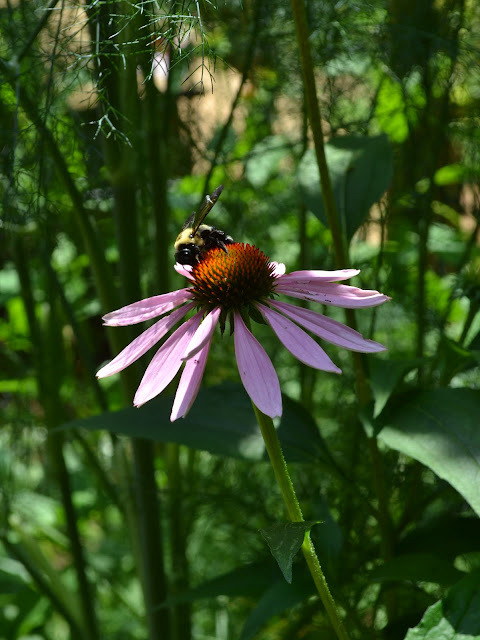 But it's a slower pace, more maintenance-type work, before the serious heat hits.
. And today, as I reviewed the photos from my favorite garden of the tour, I experienced a serious case of writer's block. I simply couldn't find the words to describe the most inspiring garden I've ever visited. 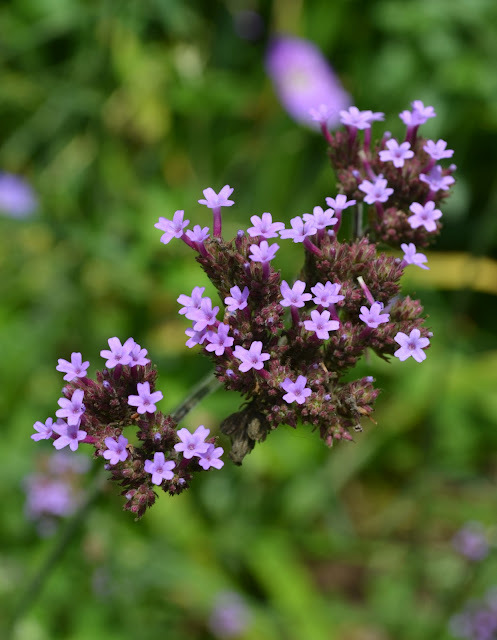 One of my favorite herbs greets guests along the front path, releasing a delicious, welcoming perfume when brushed. Unfortunately, 'Provence' lavender also beckons pollinators. 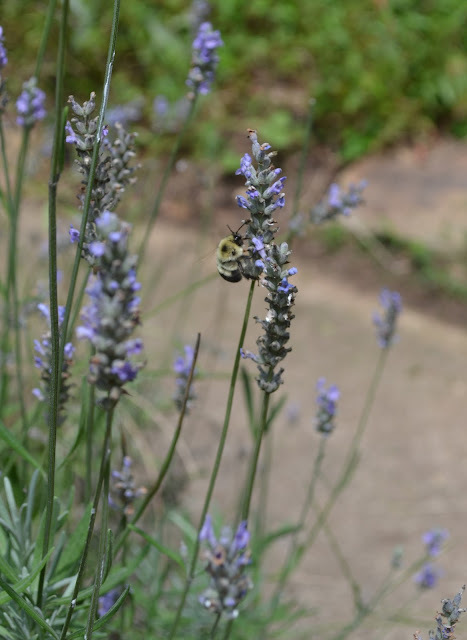 While the bees enjoy the lavender, our human guests often shy away from entering the path to the front door. Who can blame them? Last summer, our youngest son learned the hard way that an accidental encounter with a sprig of lavender can lead to an angry altercation with a bee. Perhaps planting lavender along the walk to the front door was not my most brilliant idea. 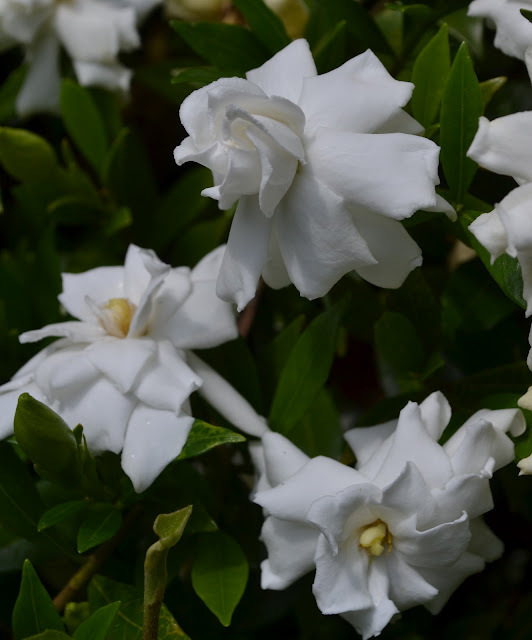 Exploding with blooms, the dwarf gardenias enjoyed our mild winter. I've never seen them so heavy with blooms as they are this summer. Thank goodness for volunteers. 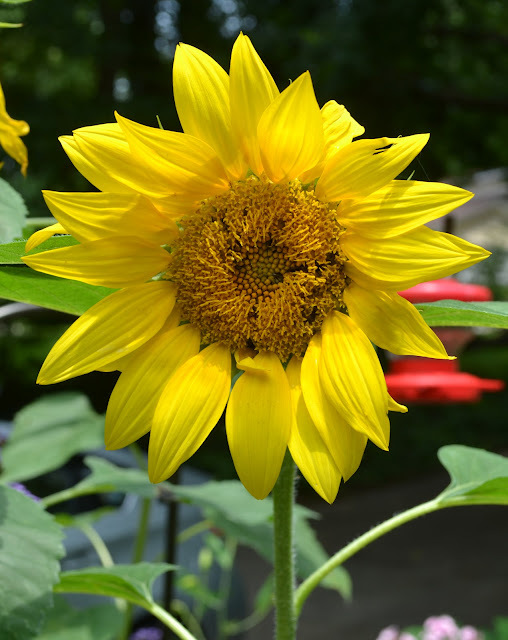 Somehow, during the crazy spring, I never planted sunflowers. 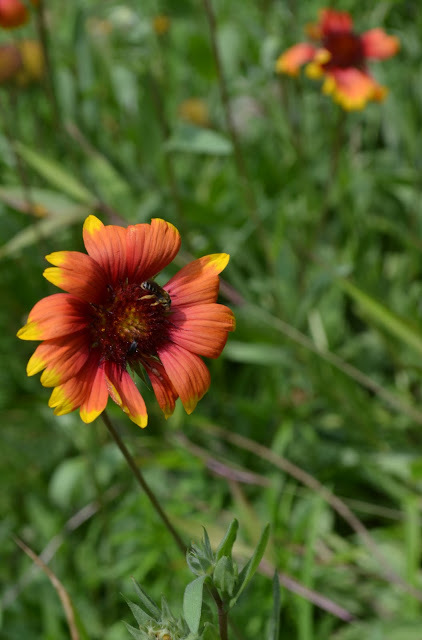 Luckily, several volunteer blooms appeared in the perennial bed, adding a nice splash of color and height. Still, I think I'll plant a bed of sunflowers by the back garden, although they'll be late bloomers. 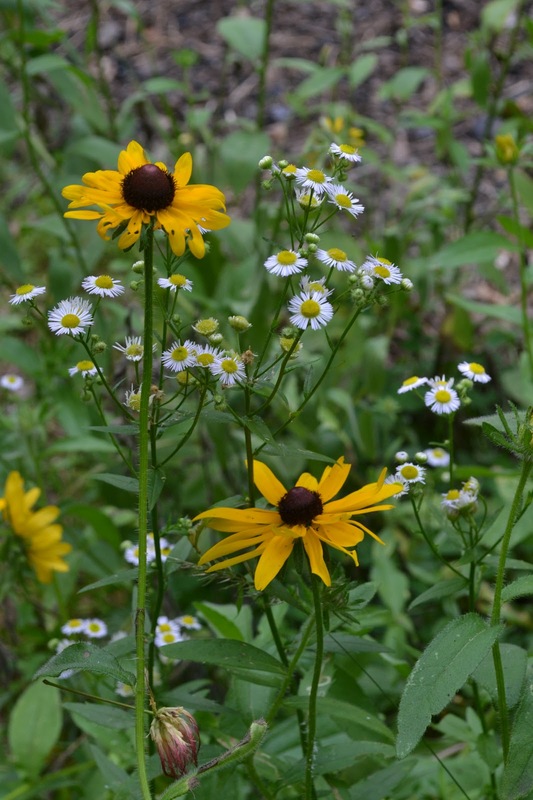 We'll have some stems for bouquets, and the birds will enjoy an autumn snack. 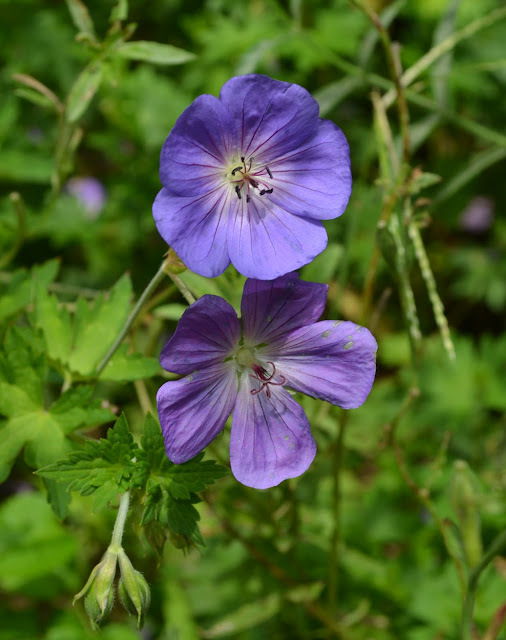 ...while the hardy geranium continues to provide a soothing, cool, creeping border of blue. 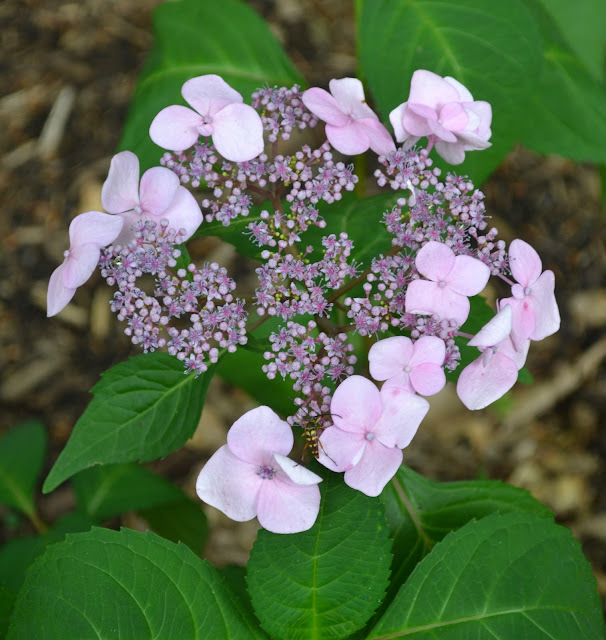 Young Oakleaf Hydrangea, planted in Fall 2011. 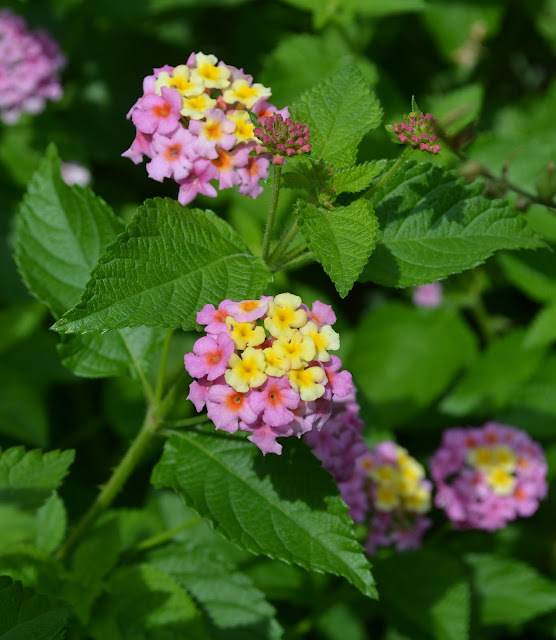 Lantana always dominates the summer landscape, providing ample color and attracting hummingbirds and bees. 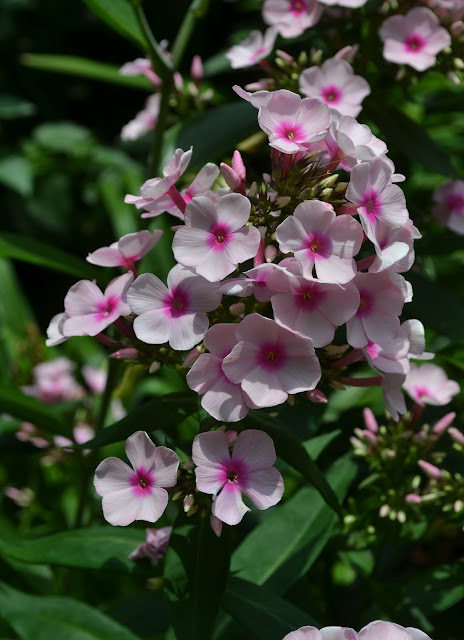 And fortunately, the phlox looks lush and healthy--no sign of powdery mildew...yet. And even by the river, where no gardener planted seeds, blooms highlight the walk to the forest, providing snacks for yellow finches. It's funny how nature works that way, isn't it? 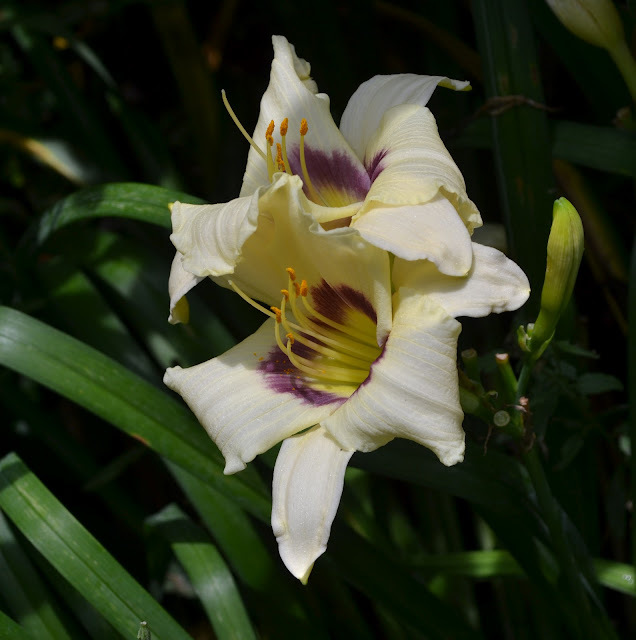 Wishing you a garden full of blooms to celebrate Garden Bloggers' Bloom Day! 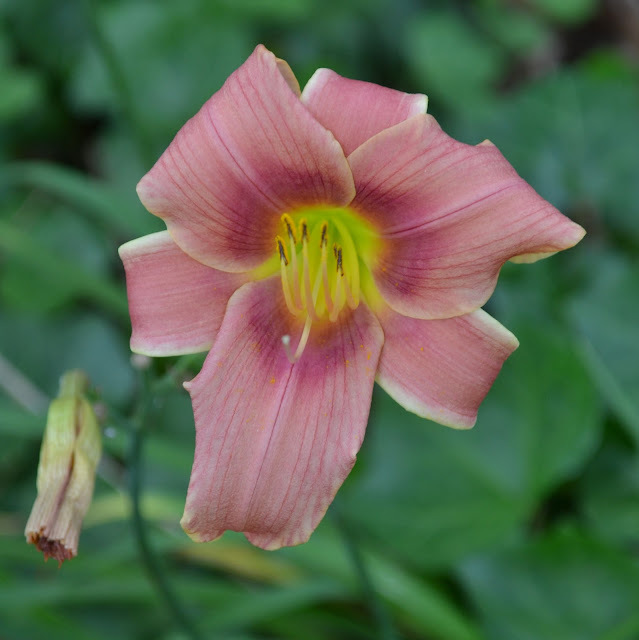 What's blooming in your garden?
. 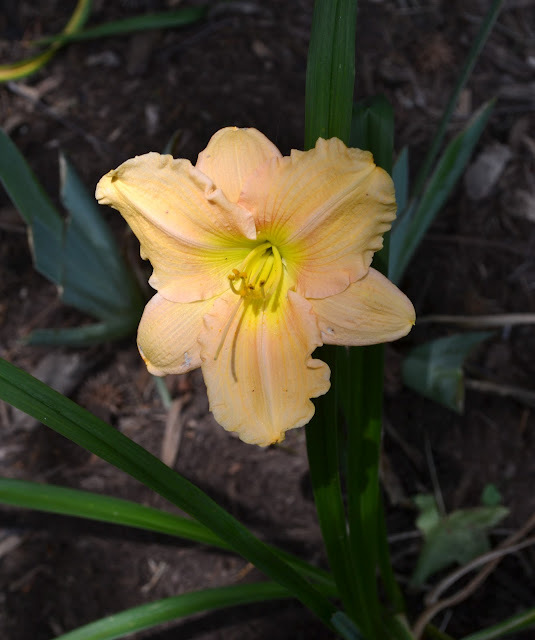 It's another garden party where you can share and see beautiful blooms (although my fertilizer is all organic, of course!) Enjoy!